"Team Holly" consists of Gerard & Bernadine (Bernie) Oudemans. Bernie & Gerard are both proud to be New Zealand born and bred with Gerard being a 1st generation "kiwi" of Dutch descent and Bernie can trace some of her Scottish ancestors back to their arrival in New Zealand in 1853. Gerard & Bernie set up Holly Homestead in February 2000. They were ready for a lifestyle change and welcomed a return to the South Island, after living in Auckland for 12 years. 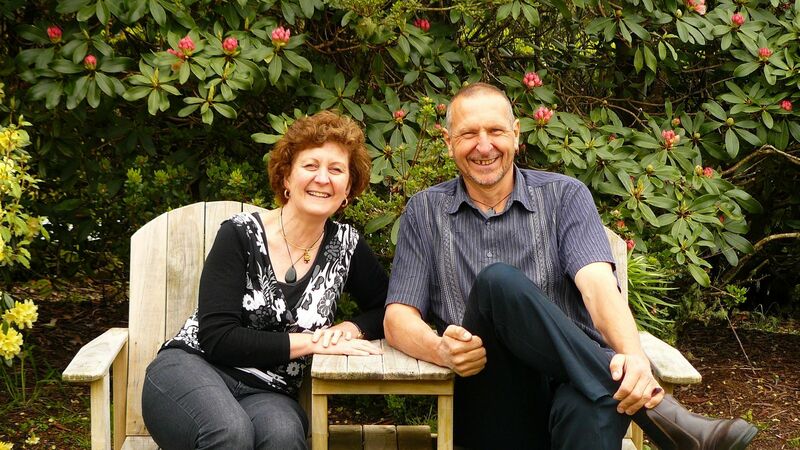 Both Gerard & Bernie enjoy meeting and hosting people from all over the world and look forward to welcoming you to their beautiful part of New Zealand! Gerard was fortunate enough to go to Antarctica twice while serving in the RNZAF. This was a highlight of his career and he would love to go back to the deep South. For Bernie, enjoying looking at the magnificent snow capped Southern Alps is as cold as she wants to get. Bernie previously worked in an air-conditioned office for a law firm, and at one stage actually liked computer work.